The Thornhill's marriage is in a rough spot with poor Sam (Harrison Ford) feeling he is a neglected husband. 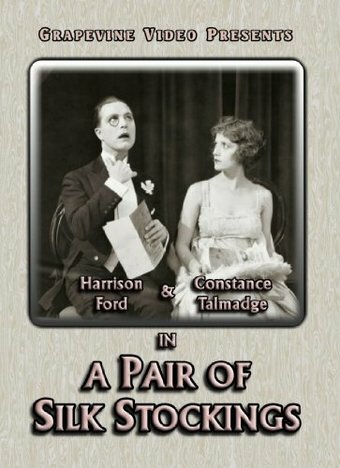 So he schemes to make his wife Molly (Constance Talmadge) jealous, only Sam's plans seldom work out as he intends and instead his plot ends in divorce. Then a chance meeting at a mutual friend's home might just give Sam the chance he needs to explain himself, if only his latest plan happens to work out. 50 minutes with a music score by David Knudtson.